Zimbabwe cricket team can not take part in upcoming ICC Cricket World Cup 2019 unless they will qualify in the World Cup Qualifier round. Till now, including the host nation total eight teams have got clearance to play in the main event of ICC World Cup which are holding the top position on ICC ODI ranking currently. Rest two teams yet to confirm their ticket for the main event. Now, they have to play World Cup Qualifier round to get the ticket. So, ten teams have participated in the qualifier round where Zimbabwe and Afghanistan are two of them. 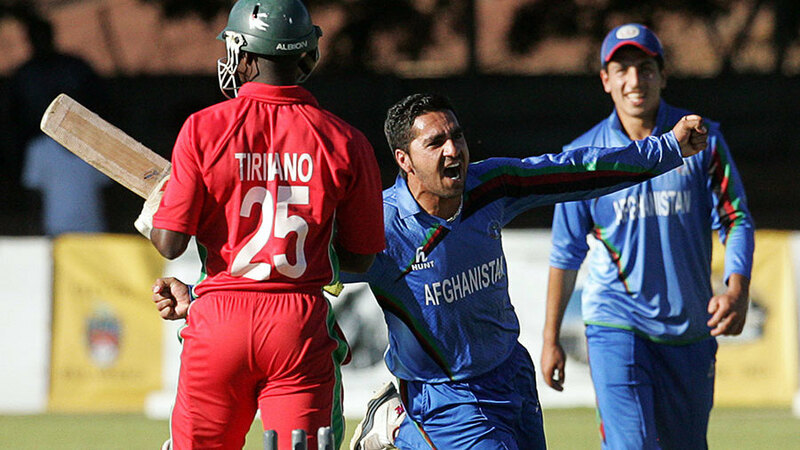 In the last qualifying round match of group B, Zimbabwe won by 2 runs against Afghanistan. Now, tea Afghanistan faced two defeats already in the competition and their chance to get qualified for the next World Cup getting poorer. Ten teams have divided into two equal groups where Group A and Group B are selected. In Group B, along with Afghanistan and Zimbabwe there are Hong Kong, Scotland and Nepal are placed. At the end of the group stage top three teams will qualify for the super six round. So, by winning more match will give much benefit here. Already eight group stage matches have passed where Afghanistan played two matches and lost both of them. On the other hand Zimbabwe are in better condition where they won both two matches. In the last match in group B, Afghanistan faced Zimbabwe. The match was staged in 6th March, 2018 and the host venue was Queens Sports Club, Bulawayo. In the match, Zimbabwe won the toss and decided to bat first. In the 50 overs match, Zimbabwe faced batting trouble and lost all wickets in 43 overs. In the meantime, they scored 196 runs totally. Brendan Taylor scored highest 89 runs in 88 balls. Rashid Khan took three wickets by bowling eight overs for Afghanistan. Later, Afghanistan came to chase 196 runs target but they faced same batting collapsed. Though they did manage to play 49.3 overs and went too close to the victory. But their lower orders did not take the much pressure and lost wickets. Rahmat Shah scored highest 69 runs in 91 balls. For Zimbabwe Blessing Muzarabani took four wickets and led the bowling section of the team. Finally Zimbabwe got victory against Afghanistan by only 2 runs so far. Zimbabwe player Sikandar Raza got the player of the match award later.